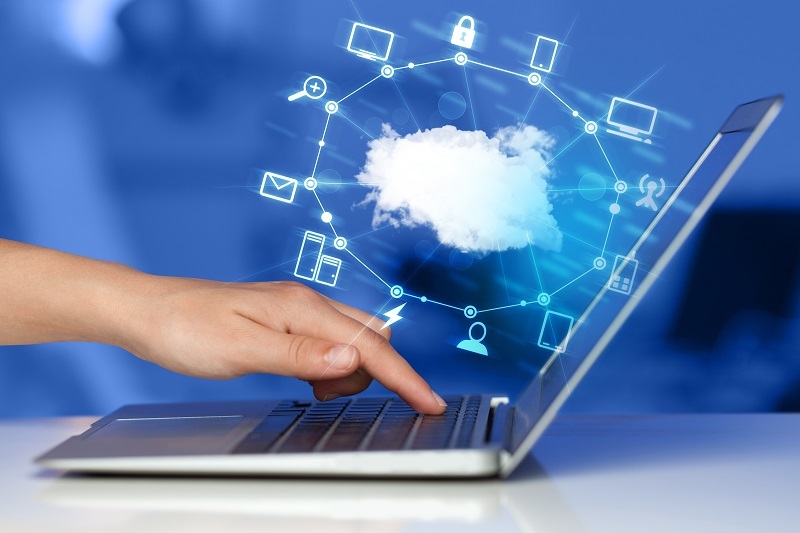 During the last 10 years, most of our customers (and we specialize in small businesses) have transitioned to using cloud services for some or all of the functions that used to be performed by their own servers. In a couple of cases, the servers have gone completely. In most cases, email and some other services have gone to the cloud, but some on-premises servers remain. But how much cloud should you have? Here is a look at some of the key factors involved. Email is an old and imperfect system of communication but still essential to most of us. Running an email server though is not particularly easy. One of the problems is spam, which is so prevalent that an effective spam filter is essential both for sanity and safety (a lot of malware comes via email). Getting everything right so that email is received and delivered reliably can be a challenge, thanks to everyone else's spam filters. And if something goes wrong, troubleshooting systems like Exchange, Postfix or Exim is often complex. Shunting all these issues onto a third-party makes excellent sense, except in certain limited cases. When might you NOT want to do this? Most people still prefer editing documents in a desktop application rather than in the browser. That means the document has to be on your own computer while it is being edited, which further implies some kind of synchronization process to get your changes back into the cloud. Document synchronization is a difficult technical problem and can cause issues (Microsoft’s OneDrive has been particularly prone to problems in the past, though this is improving). If you use large amounts of storage, or have many large documents, shunting the data back and forth over the internet has performance and cost implications. In our experience, rushing to migrate large existing shared folders rarely makes sense, unless you are aiming for a completely serverless environment. On the other hand, moving active documents to the cloud often does make sense. It is an important topic and merits careful discussion with your IT partner. Permissions and security are easily managed with a Windows domain. You may have applications that require a server, or work better with a server. The option to store documents on a shared folder is still useful (see above). If you need printing and scanning, a server is useful to manage those devices and simplify driver installation. Computing power on-premises is cheaper than in the cloud, and in some cases this matters. If you are still tied to a server on-premises, you do not get the full benefit of cloud computing. You will probably find you need VPN (virtual private network) access to your server while out and about. It adds complexity to your IT resource. While servers should in general be relatively trouble-free, there is always the possibility of downtime or complex maintenance issues. If your server is valuable to you, you need to back it up, and backup is itself a complex subject. It is worth noting that "a server" does not have to be a Windows server. You can do a lot with a business-grade NAS (network-attached storage) device such as those from Synology and QNAP. Of course these devices are really Linux servers optimized for storage and delivered with easy to use management screens; and there is nothing at all wrong with that. You can even use a NAS to run directory services but this is not something we normally recommend. I'd like to focus briefly on the cost of computing power, mentioned above. One customer of ours has a compute-intensive application that spends its time chewing through large amounts of data and delivering reports. They use multiple VMs (virtual machines) for this as well as a high-end database server. In cases like this, a well-specified server running Windows Datacenter Edition (which allows unlimited VMs) is a good bargain, despite its high cost. The monthly cost of the same computing power on Microsoft Azure or AWS (Amazon Web Services) is high enough that the server soon pays for itself. Our experience so far is that for most businesses with 10 or more users it remains sensible to run one or more servers on-premises. In many cases just one will do. You can even back up to the cloud in a cost-effective manner. This advice may change as cloud services further improve. If your business is very small, or highly distributed with no more than one or two people in any particular office, doing without an on-premises server does usually make sense. Of course you can still run server applications in the cloud if you need to. Every organization needs a directory of users.You use this to control access to your business resources, such as log on to the network, the ability to run applications, permission to open documents and so on. If you use the cloud without a server, then this directory is managed by your cloud provider, for example Microsoft or Google. But if you use the cloud for some services, but still run a server or two on-premises, you need a local directory as well. In a Windows environment, the local network directory is called Active Directory, while the cloud version is called Azure Active Directory. In reality though, you only want ONE directory, since your users are the same whether accessing local or cloud services. Of these three options, the first is error-prone and arduous, except in very small setups, and the third is not fully practical yet (though it does make sense and I think will happen eventually). The fourth is not advisable except in large setups, since you do not want your access to cloud services to depend on your on-premises server. This means that most businesses use synchronization, which is a feature offered by all the major cloud providers. Generally this works from local to cloud, in other words you manage the local directory, and it automatically synchronizes with the cloud directory. It makes sense, except that Microsoft's synchronization solution, called AD Connect, is rather complex. It is all part of the company's effort to make hybrid computing (the generic name for having some servers on-premises, and others in the cloud) work well for large organizations. This makes it high maintenance for small businesses. I recall seeing somewhere buried in the AD Connect documentation that it is not intended for fewer than 100 users or some such. Microsoft also has a password synchronization feature in its Server Essentials product (actually a feature of Windows Server), but our experience with this is poor. It stops working from time to time, fixed by rebooting the server. The consequence is that for small businesses in a Microsoft environment manual synchronization may be the best solution despite its hassles. Or you can be successful with AD Connect if you have good experitse or support. The answer for most businesses is "at least some" but there is no substitute for careful discussion and planning.